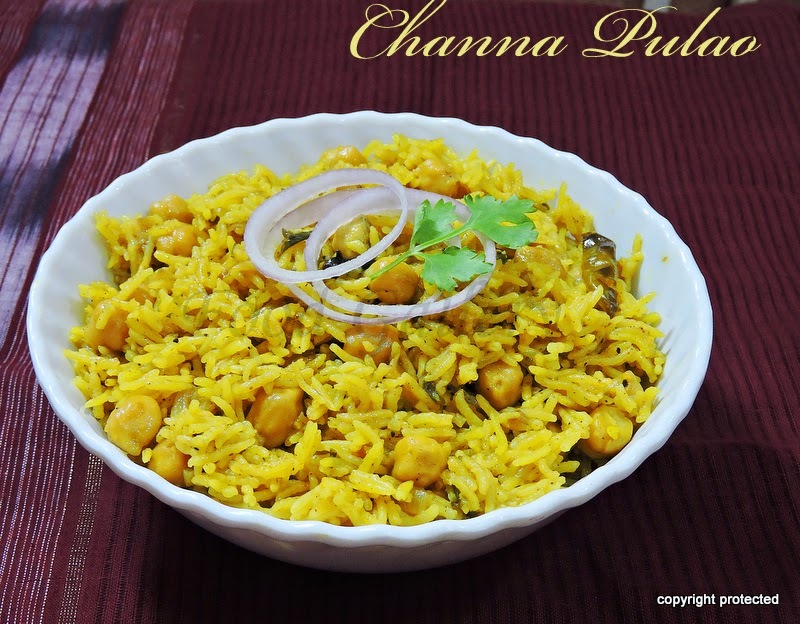 Channa Pulao - a flavorful pulao made with white chickpeas. An easy, healthy, one-pot meal - perfect for those lazy afternoons when you don't feel like cooking an elaborate meal. 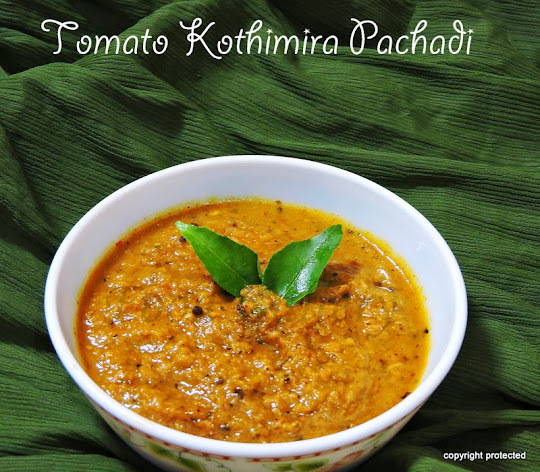 Goes very well with any raita, especially onion raita. Wash and soak channa overnight. Pressure cook it with 2 cups of water till 3 whistles. Strain the water and keep channa aside. Wash and soak the basmati rice for about 30 minutes. Heat oil in a pressure cooker and add the items under "to temper". Add onion and green chilies to it and fry till the onions turn transparent. Then add the ginger-garlic paste to it and fry till the raw smell goes off. Take care not to burn it. Now add the tomatoes to it and fry till they turn mushy. Add channa masala powder and mix well. Now add the soaked rice, the boiled channa and salt and mix well. Add 1-1/2 cups of water to it and close the lid. Wait for one whistle and switch off. Let the cooker cool down completely before you open it. Remove the rice into a wide basin and mix well, but gently. Yummm Channa pulao is now ready. Serve with any raita of your choice or chips.